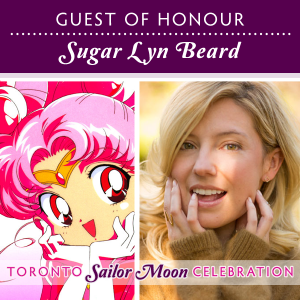 More voice actors have been added to the roster of guests of honour for this year’s Toronto Sailor Moon Celebration: Sugar Lyn Beard (Rini/Sailor Minimoon) and Susan Roman (Sailor Jupiter). Sugar Lyn Beard was the second voice actress for the character of Rini who transformed into Sailor Minimoon in the original English dubs of Sailor Moon and played the majority of the episodes featuring the child of Sailor Moon and Tuxedo Mask from the future. Sugar is known as an actress as well as a television and radio personality. For Susan Roman, being part of the wacky, wonderful world of animation for most of her adult life has been a dream come true. Along the way, she worked on projects that have since become mainstream classics. She is probably best known as the voice of Sailor Jupiter in the original English dub of Sailor Moon. The complete program is set to be released by the end of May and will include scheduled times for a variety of panels, activities, and screenings. The Sailor Moon R movie will have a featured screening at this event, for those fans who missed the theatrical screening or who wish to watch it again with other Sailor Moon fans. Crafting and video games are returning in “Game Center Crown” and attendees will be able to try a couple of Sailor Moon video games included with their admission as well as make a selection of crafts including buttons, hair bow clips, tutus, mini backpacks, and more. Outdoors, there will also be an area where fans can play a giant game of chess and see if they have what it takes to be a chess master like Sailor Mercury! There will also be “capture the rose” and some other casual games. Additional features for this convention celebrating the 24th anniversary of the classic anime series are to be announced at a later date. Pre-registration tickets are $25 general admission, $20 for children 6-11. Admission at the door is $30 general admission, $25 for children 6-11. Children 5 and under are always free. 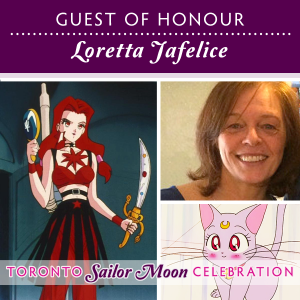 Fans attending Anime North can also meet some of the Toronto Sailor Moon Celebration crew and hear more about the only Sailor Moon convention in Toronto. Full press release is available here for the guest announcements. 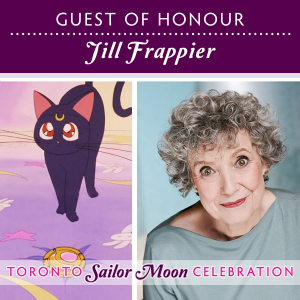 Voice actors Ron Rubin, Jill Frappier, and Loretta Jafelice will have a reunion for the first time at a convention, for their roles as the talking celestial cats in Sailor Moon. Ron Rubin is well known as the original voice of Artemis for the entire run of the DiC and Cloverway dubs of Sailor Moon. He is one of the busiest animation actors around and his voice can be heard in countless anime shows and cartoon series. Jill Frappier was the original voice of Luna for the entire run of the DiC and Cloverway dubs of Sailor Moon. She is an actor, storyteller, drama teacher “extraordinaire,” and has performed in well over 100 plays at major theatres in Toronto and across Canada, including the Shaw and Stratford Festivals. She also makes pottery, under the brand Jill’s Objets. Loretta Jafelice is best known for her roles of Eugeal of the Witches 5 and Diana, the celestial kitten from the future. She also voiced some monsters of the day. 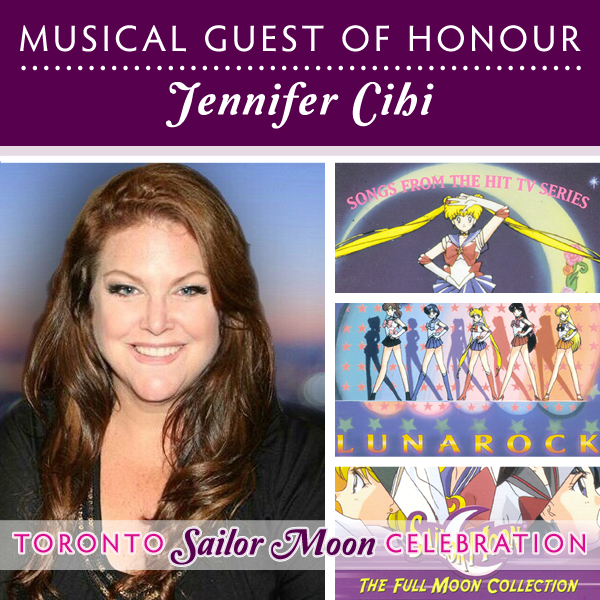 Another highlight guest for us this year is the wonderfully talented Jennifer Cihi, the singing voice of Sailor Moon. Jennifer will be performing alongside Serasymphony in a special ticket concert that will run appriximately 90 minutes including intermission and will start at 8pm in the Imperial Oil auditorium. 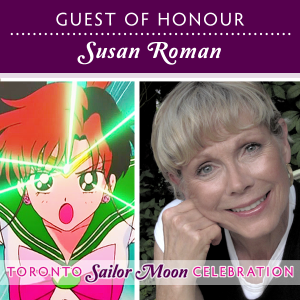 Concert tickets are discounted for attendees of the Toronto Sailor Moon Celebration if purchased in advance. Public sales of the concert tickets will open on April 24th for those who wish to only attend the concert. Concert ticket prices are discounted to $12.50 for Toronto Sailor Moon Celebration general attendees (Ages 12+), $6.25 – for Toronto Sailor Moon Celebration Child attendees (Ages 6-11), and free for children 5 and under accompanying a Toronto Sailor Moon Celebration general attendee with a concert ticket. Prices go up for event attendees on April 24th (the discount will be reduced). Questions about tickets for the concert can be emailed to info@blc3music.com. Fans will also have the opportunity to meet SeraSymphony and Jennifer Cihi before the concert at the convention, even if they do not have concert tickets. Their will be separate panels for Jennifer Cihi and SeraSymphony as well. Our seventh cosplay guest of honour, GreyCosplay, is a Toronto based cosplayer who has been enjoying the art and the challenge of bringing his favourite characters to life for 4 years. From anime and manga to video games and comics, Grey has dabbled in it all. Our sixth cosplay guest this year is Phil Mizuno, an up and coming Canadian-native cosplayer who followed his heart and is pursuing his passion to empower others through positivity and creativity. Phil has been cosplaying for just over 2 years, and currently lives and creates his cosplays in Toronto, Ontario. Joining us for a second year, Fan Fiction The Show will be entertaining you again with the hilarious antics of a Sailor Moon themed fan fiction comedy performance. The one hour performance will be rated PG so that all of our attendees can enjoy it! This year’s event is quickly evolving into a very full day of spectacular guests and lots of fun activities. We hope to see you there if you can make it! Pre-registration tickets are $25 for general admission to the convention. General admission at the door will be $30. Children 6-11 are $5 off and children 5 and under are free. We are proud to announce SeraSymphony as the next guest of honour for the Toronto Sailor Moon Celebration. This talented, fan-created live music tribute to the Japanese series Pretty Guardian Sailor Moon will be showcased for the first time in Toronto with a special ticket concert. Conducted by Bobbie Lee Crow III, the orchestral concert features background music and image songs from the many adaptations of Naoko Takeuchi’s magical girl series. 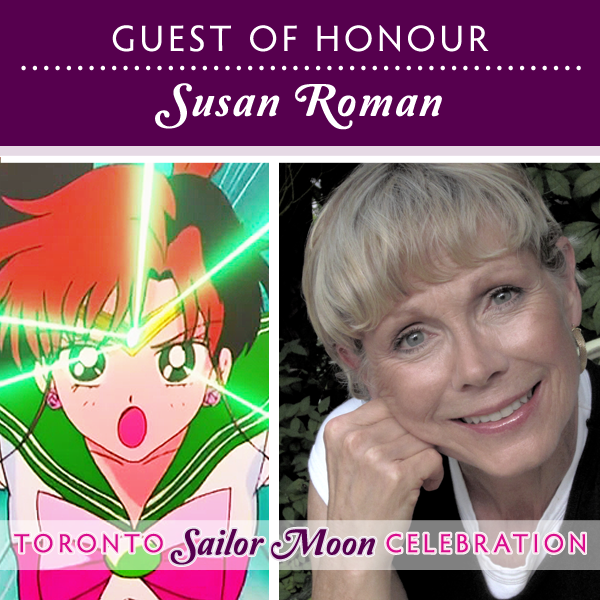 Tickets for the concert will first go on sale for Toronto Sailor Moon Celebration attendees on February 14th! Limited tickets will be available to the public at a later date. Questions about tickets for the concert can be emailed to info@blc3music.com. 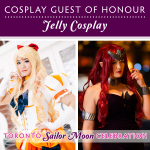 The SeraSymphony group will also be doing a panel at the Toronto Sailor Moon Celebration that our attendees can see to ask questions and get a preview of what to expect at the concert. Lee Scion is a master level cosplayer with over a decade of experience in the hobby. Working as a professional seamstress, Lee attended post secondary school for Stage Acting, Fashion and Design, as well as a graduate program for Historical Costuming. Bear Sailor Moon will be returning as masquerade director and will be giving a sneak peek of his upcoming musical show, Bear Sailor Moon Songbook debuting in July 2017. Jelly Cosplay is a master level cosplayer who found her passion of cosplay in 2001. 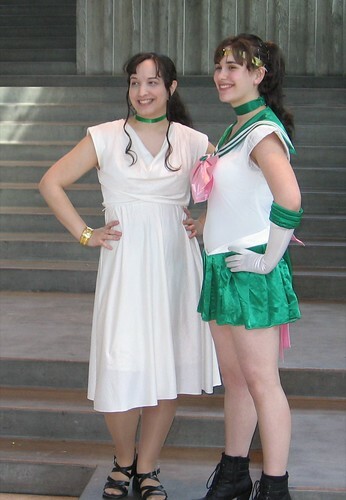 She has crafted over 70 cosplays, including Sailor Mercury, Queen Beryl, and NoFlutter’s version of Sailor Venus. She brandishes several awards under her belt. Ammie Cosplay started sewing well over a decade ago and has been actively making Sailor Moon costumes for 10 years. As a masters level cosplayer she strives to teach other cosplayers, both novice and masters, tricks of the trade and believes through her own trial and error in the art of costume making, she would like to share the wealth of knowledge she has obtained in the hobby. She has been featured in magazines and books around the world regarding her costumes. 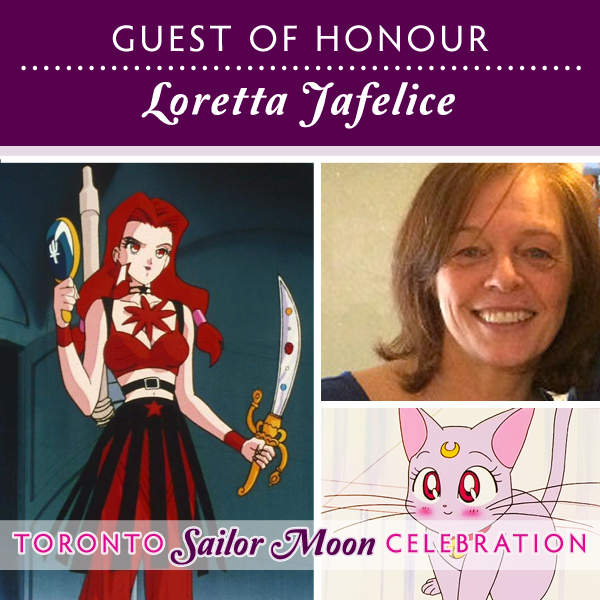 If you’re in the Toronto area, you might be interested in checking out one of the International Sailor Moon Day events on Saturday, August 15th. 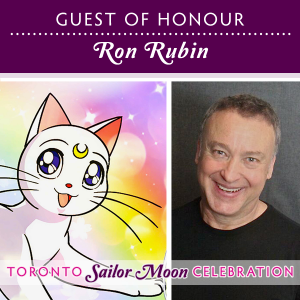 I will be hosting the Sailor Moon Celebration at the Ontario Science Centre. 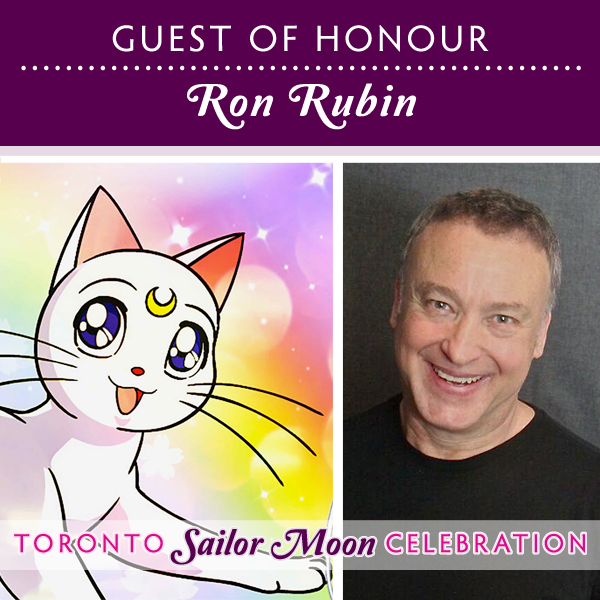 I am currently reaching out to more possible Sailor Moon guests, but I am proud to announce that our first guest of honour is Roland Parliament! Roland will be doing a Q&A session with the fans and will be available for autographs and photo ops. If you haven’t had a chance yet to buy his book (which I recommend for anyone interested in a behind-the-scenes look at the original dub), you can order a copy in advance from his website. Roland will be happy to sign and personalize your copy in person. Roland would love to have copies available to sell to attendees, and if 50 books are ordered soon, he will bring them to the event and deliver to you in person! The event costs $10 to attend and will be running one day only on August 15th. Tentative times are 10am-4pm, but this may change. 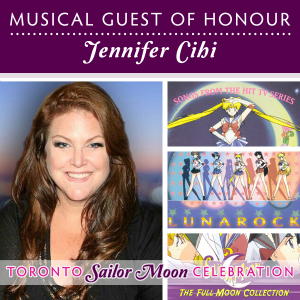 If a more casual event is your style, there is also going to be a Sailor Moon picnic on Toronto island, from 12pm-5pm, hosted by Abby Green. When I entered the room, it was almost packed! It remained pretty full until the open question and answer period, where the crowd tapered off during the last half hour. This room was larger than the one used for last year’s Sailor Moon panel, with almost double the capacity (it could hold about 95 people). The length of the panel was also increased compared to last year, to one and a half hours. Although I didn’t mention it at the time, this panel was a last-minute addition because another panel was cancelled. I can’t thank the panels coordinator at Sakura Con enough for giving me the opportunity to run a panel on behalf of Moon Chase. I was still cosplaying Princess Jupiter (anime style), as I decided to cosplay all day Friday. Seeing so many Sailor Moon fans made me rather nervous about leading the panel by myself, so I started with some facts and introductions from my notes. Sailor Moon first hit North American TV in late 1995 and it’s clear that fans here still want more. Join the discussion of the franchise, the revival, and the latest news about Sailor Moon. Presented by Moon Chase. I began the panel by introducing myself and providing a little information about Moon Chase, for those unfamiliar with it. Next I briefly discussed Operation Moonrise, and announced the next (and final) phase for that. Following the introduction, I talked about Kotono Mitsuishi’s appearance on Animax’s Creators show (screen grab from the show above). I thought fans would find some of this information interesting and it might give them more ideas for questions at her Q&A panel the next day. She also had a second Q&A on Sunday, but the Saturday session was more popular. Next up was a brief discussion of the details about the manga re-release, including the highest figures from Moon Chase’s manga survey results. In addition to what was reported in the press release, I shared some details that were more recently announced: all colour pages will be included, no stickers, Japanese names and cultural references will be left intact, and it will stay true to Takeuchi’s original storytelling vision (so there won’t be any “cousins”). I also mentioned that the manga has a release date announced for Germany. Later, a fan asked what the cover art would look like and I said that I suspect it will be the same as the covers from the Pretty Guardian Sailor Moon manga, which were available in Japanese from various dealers at the convention. Then I moved on to a discussion of the revival and a listing of many of the countries seeing Sailor Moon again or even for the first time. At points during this, I didn’t specify all of the countries (most specifically for Africa and the Plus Licens territories) to keep things simple. I did have a list of everything though, in case anyone wanted more specific details. In Albania, they only got seasons 1, R, and SuperS. Seasons 1 and R were heavily edited, and SuperS was uncensored. This time, they are still not getting the S season or Sailor Stars. It’s aired on a premium TV network, Bang Bang (a children’s channel). Hong Kong saw Sailor Moon return in August 2010 on teen network TVB J2. In Brazil, the anime has returned with broadcasts starting from the S season. Fans have understandably not been very happy about this, as it’s not the beginning of the series. Both Brazil and Mexico will be seeing the series available on DVD in the future (no release dates confirmed yet). Malaysia saw Sailor Moon return in March 2011 on NTV, starting with season R. They seem to be using the old version, not remastered, with the opening song and dialogue based on Indonesian. Portugal also saw Sailor Moon return in March 2011, to the children’s Pay TV channel Canal Panda. Their broadcast license is for all 200 episodes. Also, various Portuguese speaking countries in Africa will get to see Sailor Moon later this year (Angola, Mozambique, Guinea-Bissau, São Tomé and Príncipe, and the Republic of Cape Verde). Plus Licens will be distributing Sailor Moon in all of their Nordic, Central European, and Eastern European territories (includes: Sweden, Norway, Denmark, Finland, Iceland, Estonia, Latvia and Lithuania, Czech and Slovakian Republics, Hungary, Bulgaria, Serbia, Montenegro, Croatia, Slovenia, Bosnia-Herzegovina, Albania and FYR Macedonia). They will be handling television, merchandise, and DVD rights for all 200 episodes. France, Germany, and Scandinavia will see Sailor Moon again soon (if not already), as it was set to return during the winter/spring TV season in 2011. There is a new Hebrew dub (there was no dub previously) in Israel, which started airing on Children’s Channel on January 23, 2011. Last up before moving on to the more casual part of the panel, I briefly discussed what we recently learned about redubbing from SOS Brazil. Behind the scenes we are looking for more details and confirmation about this, but it was definitely something we thought should be mentioned at the panel so that more fans are aware of public statements such as what we found on SOS Brazil. Next, I asked the audience if they would like to hear about the new video game, La Luna Splende, from Italy. After a resounding “yes!” I went through Sailordees’s very negative review of the game. Part way through, someone in the audience joked that they weren’t sure they wanted to hear any more about it! But I continued since most fans were interested in hearing the whole story, although the game sounded pretty laughable. There was also short discussion of the previous game, Another Story, that was very well-received by fans although never officially released in the US or Canada. After asking the audience if they were interested in hearing about what some of the English dub voice actors are up to now, I went through the bulk of my recently posted updates about them (part 1 and to a lesser extent part 2). Some fans were surprised to hear that the English dub was recorded in Toronto, so I also mentioned that Stephanie Beard a.k.a. “Sugar” was previously a PJ (similar to VJ) on YTV’s “The Zone” (an after school programming block) and a DJ on a Toronto radio station (KISS 92.5). While she was a DJ, she even sang a song called the “The Real Suga Baybee” (it was a parody of Eminem’s “The Real Slim Shady”). I recalled that when people asked her about singing, at the time she made the song, she said that she could carry a tune but didn’t really consider herself a singer. A fair amount of the panel was dedicated to an open question and answer period, where I received questions such as “who is your favourite senshi?” (I said Sailor Moon and mentioned my “Brave Dame” essay that I shared recently on Moon Chase) and even “who is your favourite villain?” (I thought Queen Beryl was interesting, but she was technically a subordinate although she didn’t act like it most of the time. I chose Ann as my favourite, for the way she changes personalities with such ease). There were some questions asked that I didn’t have reference for at the time (sorry about that! It can be hard to predict in advance what questions will be asked). I took notes at the panel to consult with Sailordees afterward and do more research if needed. A couple of questions will be added to our upcoming survey, so I won’t repeat those here. There was no Blu-ray release in Japan (one of the audience members recalled this). Moon Chase staff will continue checking to see if there is a Blu-ray release and will let the fans know if one becomes available (the region coding for Blu-ray is the same in Japan as the US and Canada). Regarding Brazil and Italy receiving the Sailor Stars season, Sailordees has confirmed both did receive it. Someone in the audience at the panel was also able to confirm that it was Italy who presented the Starlights as “twins” (an interesting choice to get around the gender bending, I think) as well as noting that Italy did receive the Stars season. “Sailor Moon World” was not actually a new series, but simply a rebranding effort a few years ago. Regarding fan efforts to bring Sailor Moon back, congoers were interested to hear if there are more efforts creating added interest in the series or helping it to return. Aside from Operation Moonrise, we have noticed an increase in fansubs and fandubs, which can certainly create more buzz amongst fans. One audience member mentioned Sailor Moon Abridged as being a very well done fandub. This fandub is actually a parody of the English language Sailor Moon dub, which surprisingly keeps a fair amount of the dub story intact while also hilariously mocking some of the cuts, changes, and character personalities (they even managed to further exaggerate some character traits!). There is some swearing in it and some controversial subject matter (e.g. discussion of eating disorders), so consider yourself warned. Other things I shared at the panel included a small amount of survey results from Operation Moonrise phase 4 (which was about Sailor Stars) and phase 5 (which was about censorship, if fans liked the anime and manga being different, TV timeslots and what fans would be willing to pay for an anime channel, general actor preference, as well as if fans would like to purchase the old dub even if a redub was made). I mostly shared these during times when it was quiet and I was waiting for more questions. There was also a brief discussion of the mythology behind Sailor Moon, but unfortunately I didn’t have my notes with me on that subject as it would have been too long to print this time. 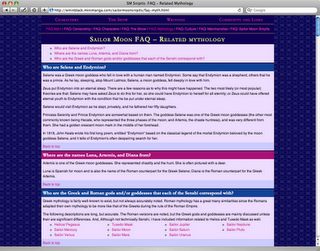 For those interested though, you can read more about mythology that influenced Sailor Moon in the mythology FAQ section on my Sailor Moon Snipits fansite. I have since condensed some of the reference material for this for printing, so next time I am a panelist on a Sailor Moon panel, I will be sure to bring that along! Also, the Encyclopedia Mythica is a fantastic resource about mythology in general. Anything you’d like to see Moon Chase staff add to future panels, please let us know!